Colorado medical study showed marked improvement in the number of tension headaches in chronic, non-migraine sufferers using specific massage treatments. 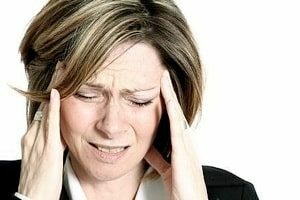 Boulder College of Massage Therapy sponsored a unique study with subjects who suffered from chronic and severe tension headaches. The selection criteria were clients who suffered at least 2 to 3 headaches per week for the past six months that were generally not migraines. After 4 weeks of specific massage treatments (compared to 4 weeks of no treatment) the subjects showed not only an immediate improvement but a prolonged improvement as well. Each client was given a 30 minute head and neck massage with specific protocols to follow within the given time frame. The number of tension headaches that clients experienced dropped almost by half the very first week of massage treatments and by the end of the 4 weeks had decreased in frequency even further. It was also interesting to note that most of the clients reported a decrease in the severity of the tension headaches when they did occur. The conclusion states, “pain associated with chronic tension headache can be alleviated through specific massage therapy treatments directed at cranial and cervical muscles.” which is highly encouraging for anyone suffering from chronic headaches due to muscular tension. This study is significant because the massage therapists were all following the same guidelines for treatment of the chronic tension headaches rather than each working individually. The study also maintained a base line period before the massage treatments began to give a more accurate comparison point. It was also noted that when a subject of the headache study entered the massage session currently experiencing a headache episode they always left 30 minutes later with no pain. This could be very helpful for anyone suffering from a chronic tension headache as the massage protocol was a simple, but effective way to relieve the pain without using pain medications.